It’s that time of year. People are trading in their lagers and their IPAs for seasonal offerings. So should you rush out and buy all the pumpkin beers? I wouldn’t. But is it fun and fitting to look for some darker/maltier options for your drinking pleasure? I think so. This isn’t of course an exhaustive list of every dark beer style. There are more darker/maltier beers than I have room to write about here. This is just a quick rundown of styles you can probably find that might be better suited to cold, wet, miserable weather, but aren’t just beers with nutmeg polluting them. You can’t talk about dark beers without mentioning stouts. You probably want to know what makes a stout a stout. My answer is for you not to worry about it. It’s a really dark beer, and that’s all you need to know. But are there different kinds of stouts? You betcha! Dry or Irish Stouts are probably the most consumed and recognizable of the stouts. Guinness is the hallmark, though there are others out there for sure. This is a very roasty beer (think coffee or the charred part of a steak) that are otherwise light in body and generally relatively low in alcohol. Sweet Stouts have similar characteristics, but with some sort of sweetener added (lactose is very popular, resulting in the moniker “Milk Stout”) to increase the body and cut some of that roastiness. Duck Rabbit Milk Stout from Farmville, NC is ubiquitous in these parts and a great choice. Oatmeal Stouts have — surprise! — oatmeal in the mash. This increases the viscosity of the beer, resulting in a much heavier beverage with a creamy mouthfeel. This style often gets further modified into the Breakfast Stout, which will add things like chocolate, coffee, maple syrup, and other wonderful things. Samuel Smith’s Oatmeal Stout, an import, is a must if you want to experience the more traditional version, though. 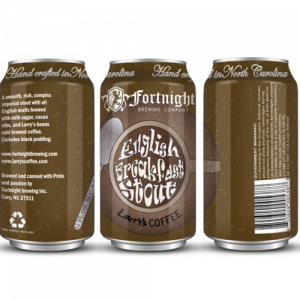 Locally, Fortnight makes a Breakfast Stout that is worth the search. Imperial Stouts are stouts (like any of the above sub-styles) but with a bigger grain bill to result in higher alcohol content. The tradition is that this style was originally created for export from England to Russia for the Imperial Court, and required the higher alcohol to survive the journey without spoiling. That’s probably true, but I know what is definitely true: This style rocks. 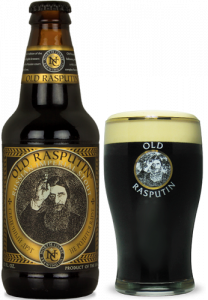 Go get an Old Rasputin from North Coast and get ready for a nap. There are a few more stout options, but let’s leave the stouts for now. 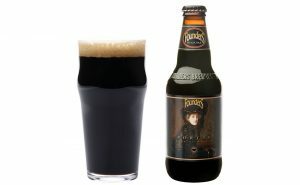 Porters are another dark and malty beer that are great for cooler weather. What’s the difference between a stout and a porter? Sometimes there isn’t one. In fact, the term stout came about as a reference to a stronger version of porter, but it then became its own style and the term has nothing to do with the alcohol content. The easy way to look at it is if it’s darker than plain old brown, you probably call it a porter, and if it’s almost black or darker, it’s a stout. Or just call it whatever the brewer says to, since he made you alcohol. There are three types of these: Brown, Robust, and Baltic. Browns are the lighter of the three, lack the roastiness of a stout and focus more on nutty and chocolate flavored malt. Try Bell’s Porter. Robust porters have the same flavors, but more intense and with some minor roastiness if they want it. Founders makes a good one. Baltic porters are made, generally, with a lager yeast so they’re fermented at a cooler temperature, and are often more alcoholic than their cousins. Sinebrychoff is a good representative of this style, but good luck finding it — it’s a difficult import to track down. The Scottish Wee Heavy or Scotch Ale is a syrupy, malty, booze bomb that can be a wonderful treat. And the Belgian Dubbel is a spicier, more unpredictable cousin to that. What about German offerings? There are a lot, and with them being more popular there than here, it’s hard to make recommendations that you can easily spell or get, but let’s at least talk about a few. Germans love lighter beers, I don’t blame them for it in the slightest. But they make a few darker varieties that are certainly worth a look. Anything with the word “Dunkel” in it is going to be dark, and these tend to be a little sweeter versions of the lagers they love. Monastic brewing traditions give us the Bock and the Doppelbock, which are even sweeter, more alcoholic options. There’s also the deceptive Schwarzbier, which looks exactly like a stout, but if made correctly, drinks like a lager with no sign of roastiness. Tricky and good. Yeah, it’s Fall, but you aren’t stuck drinking the pumpkin beer your bro-in-law left at your house. Go out there, find some dark beer styles you haven’t tried, and see what you like. Let me know how it goes!